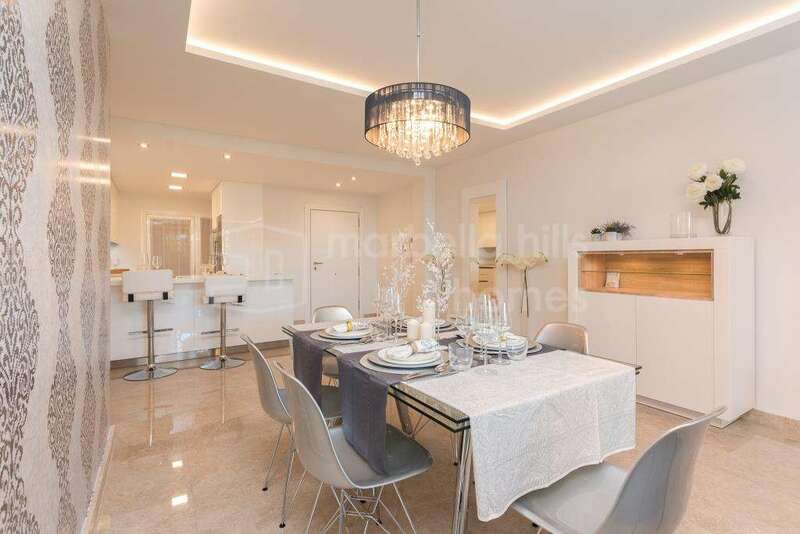 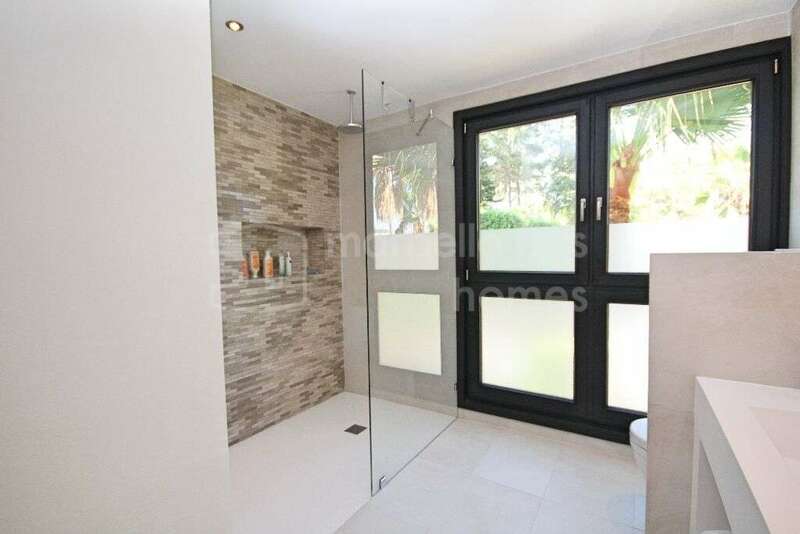 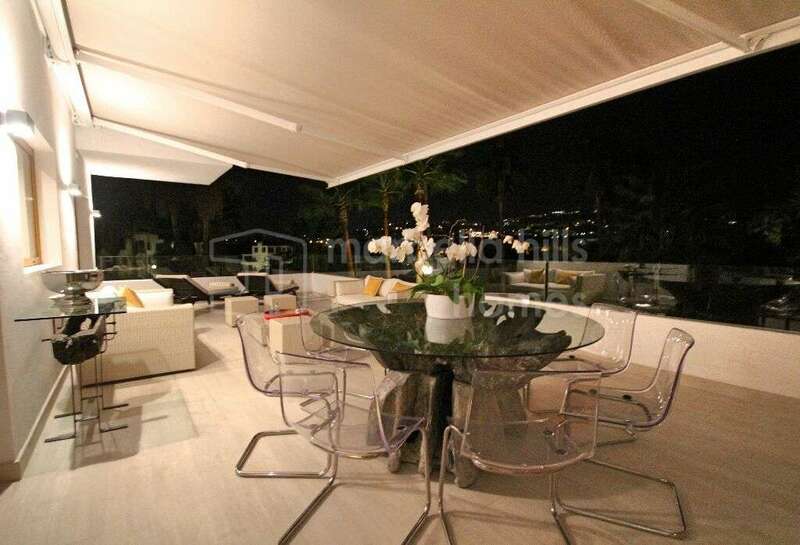 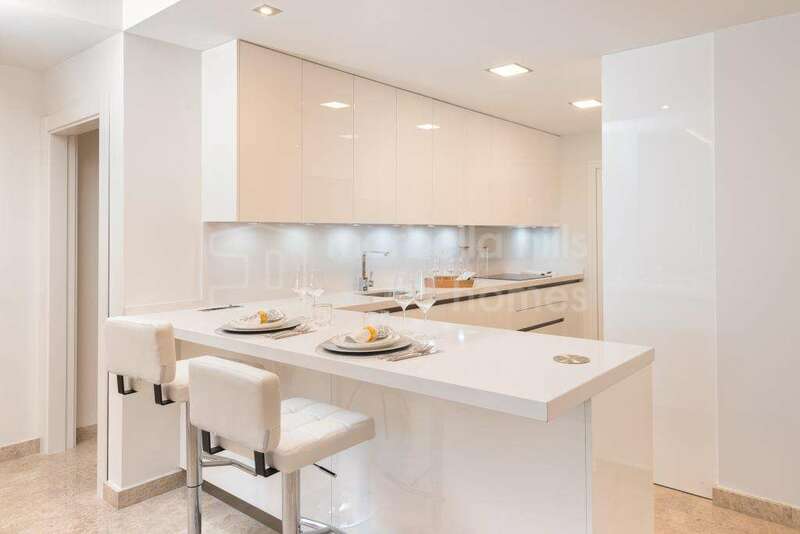 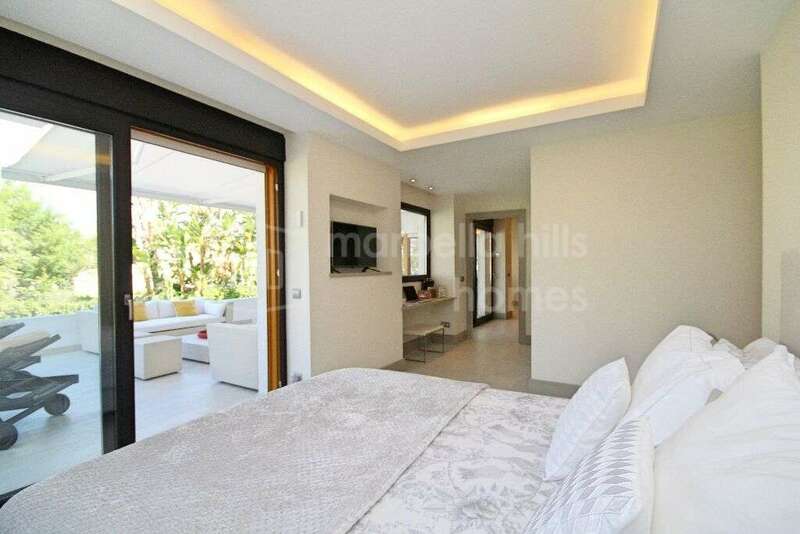 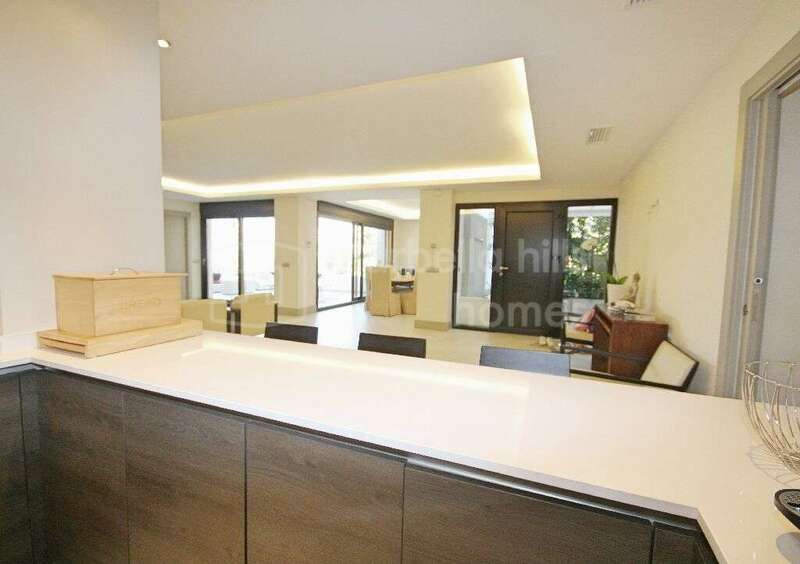 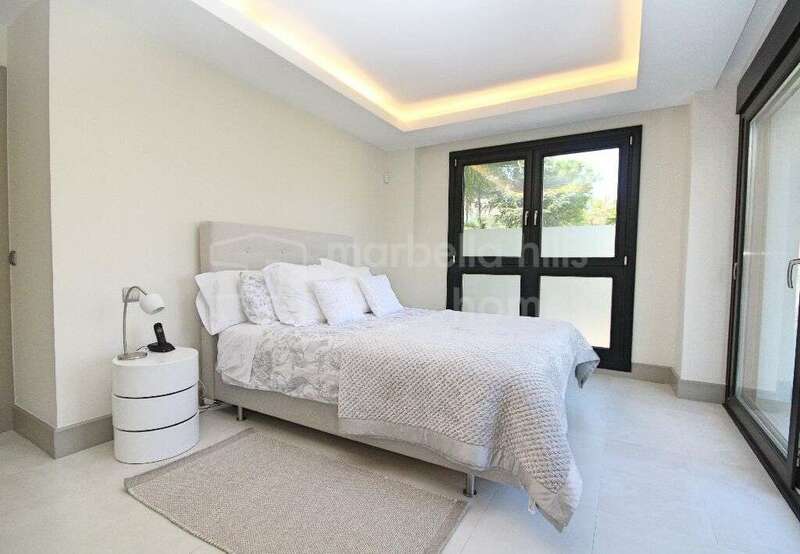 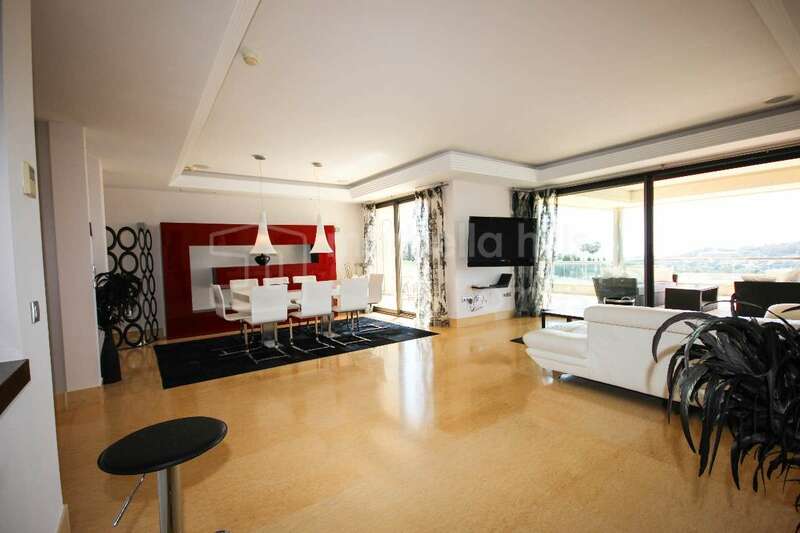 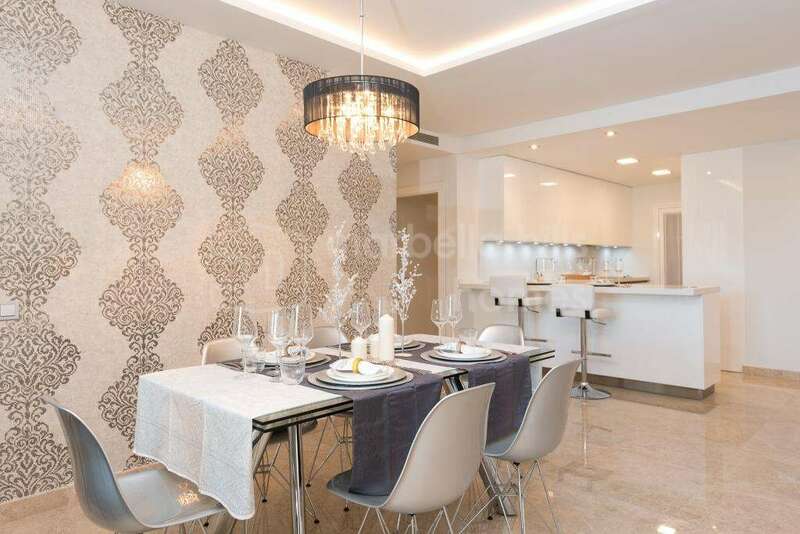 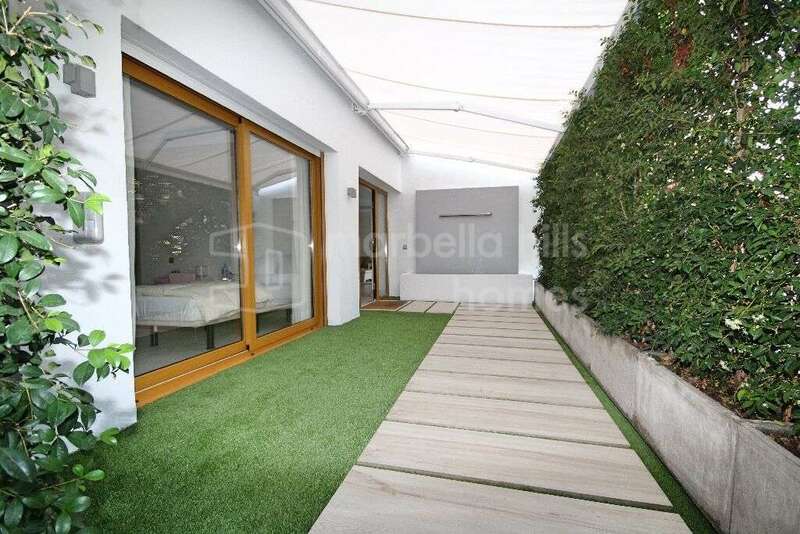 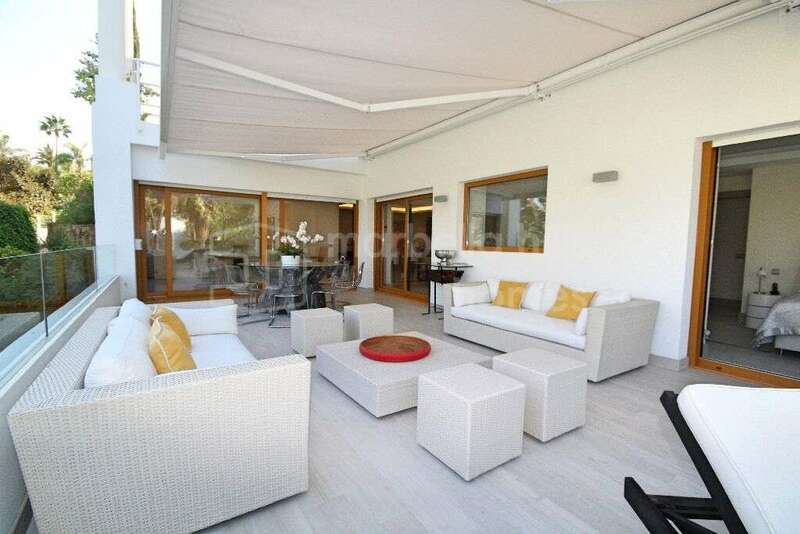 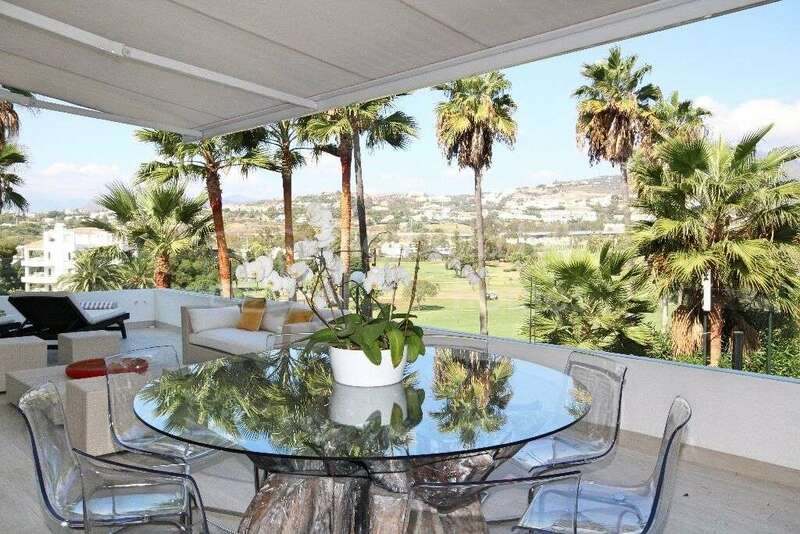 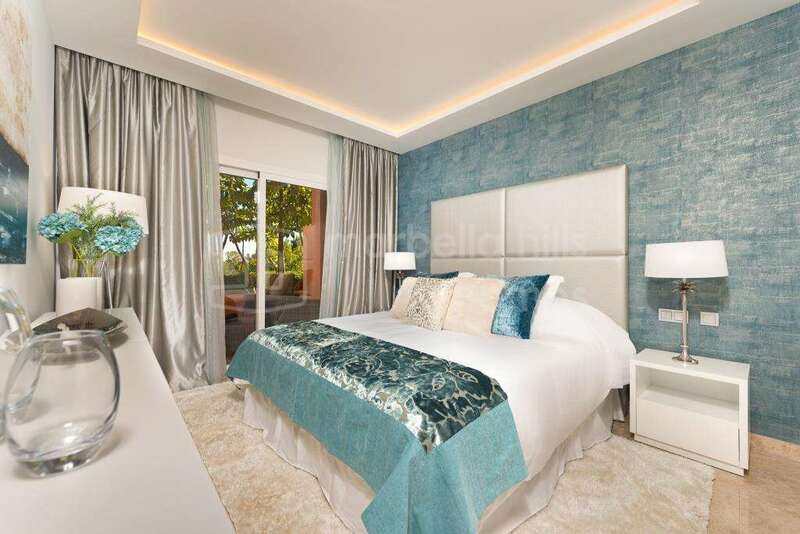 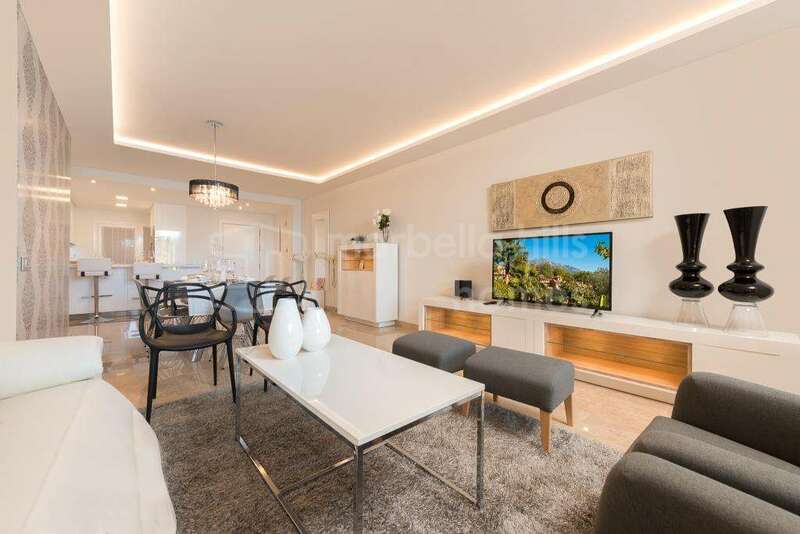 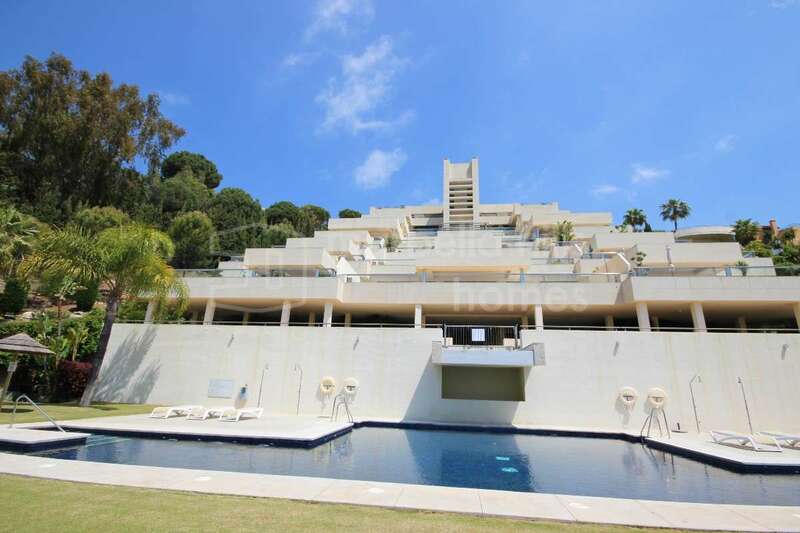 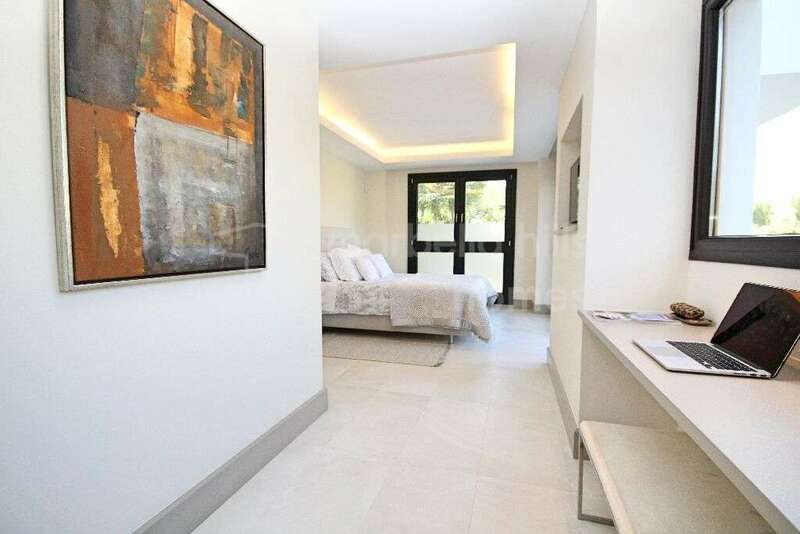 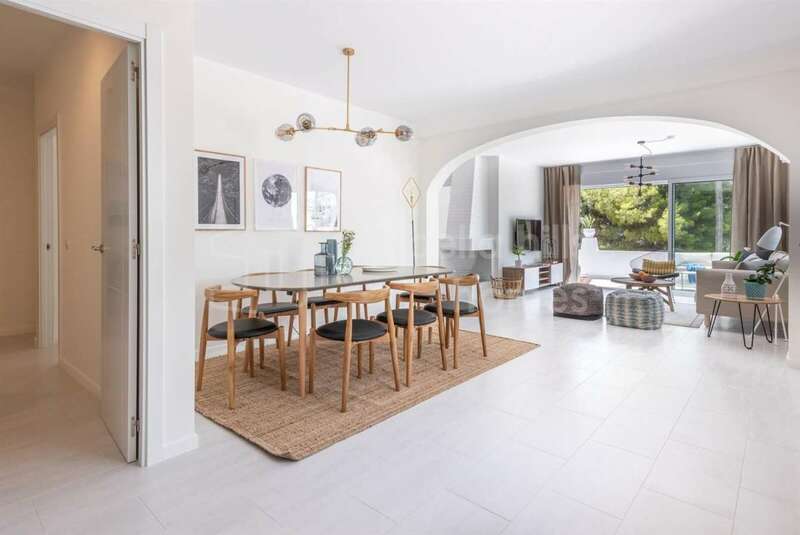 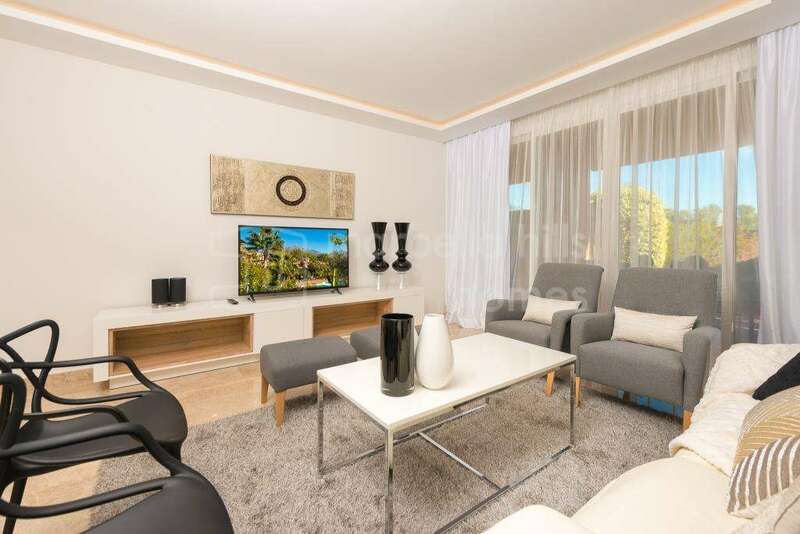 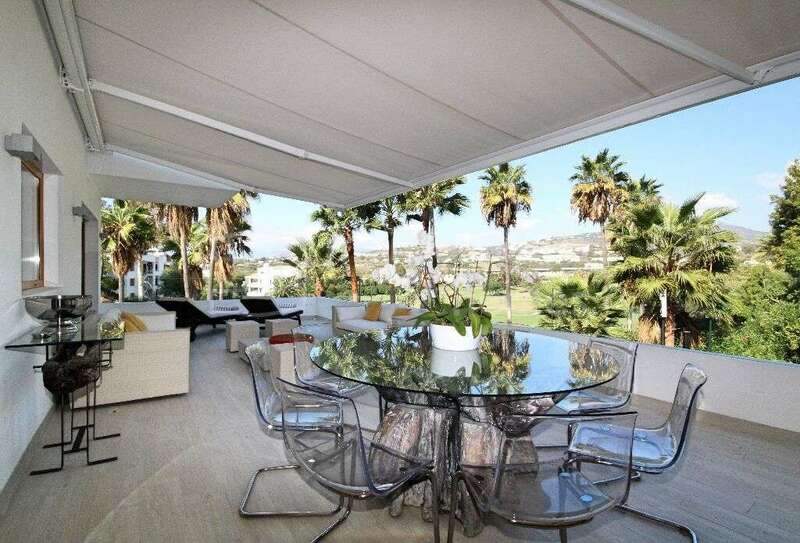 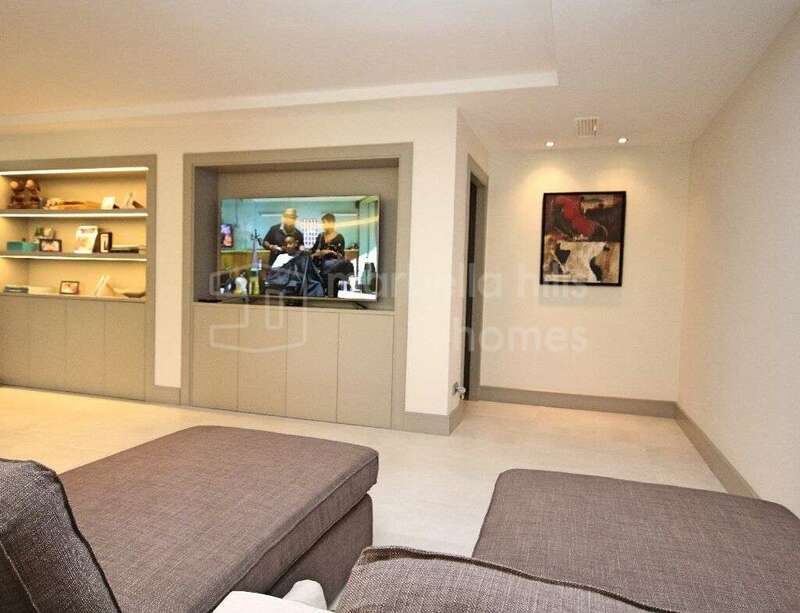 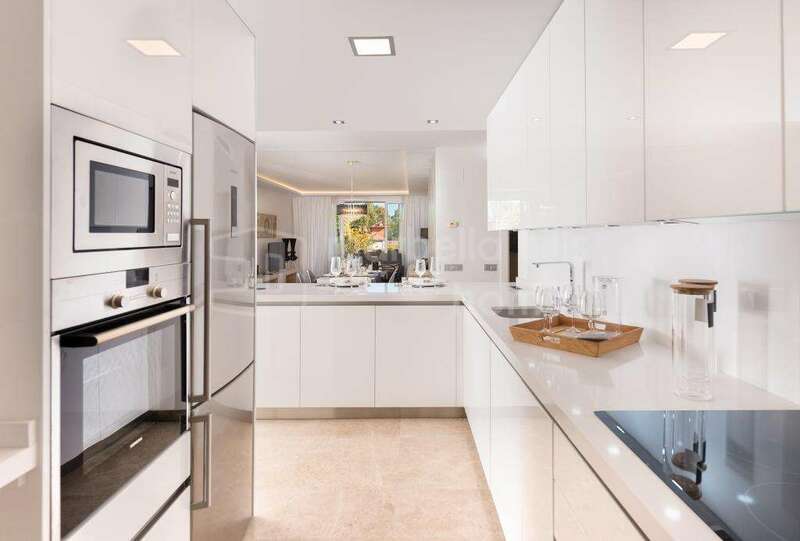 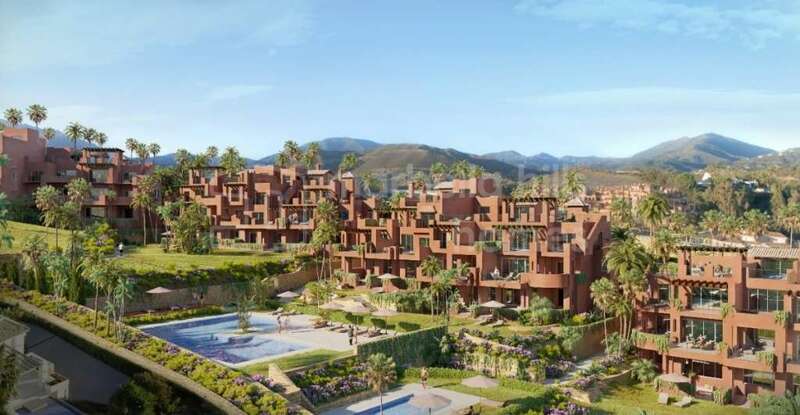 Luxurious three bedroom apartment recently completely renovated to the top of quality and elegance, located in Nueva Andalucia in 1st golf within the private and secure residential complex of Alcores del Golf. 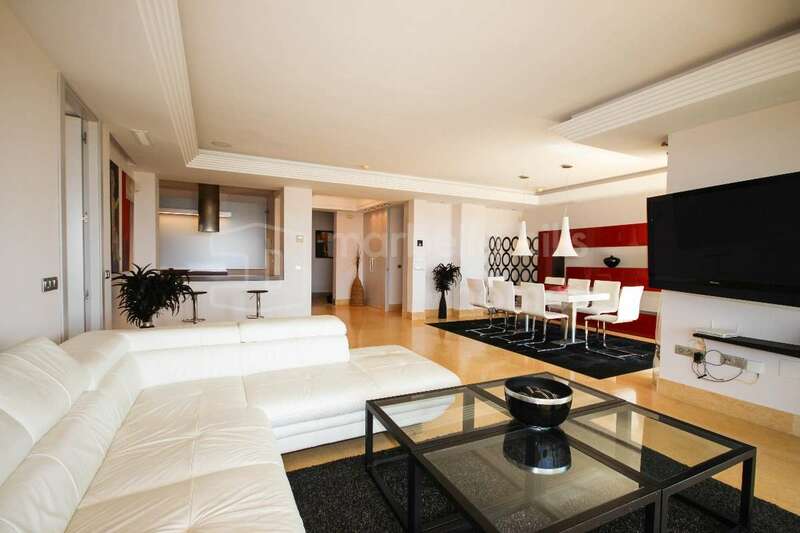 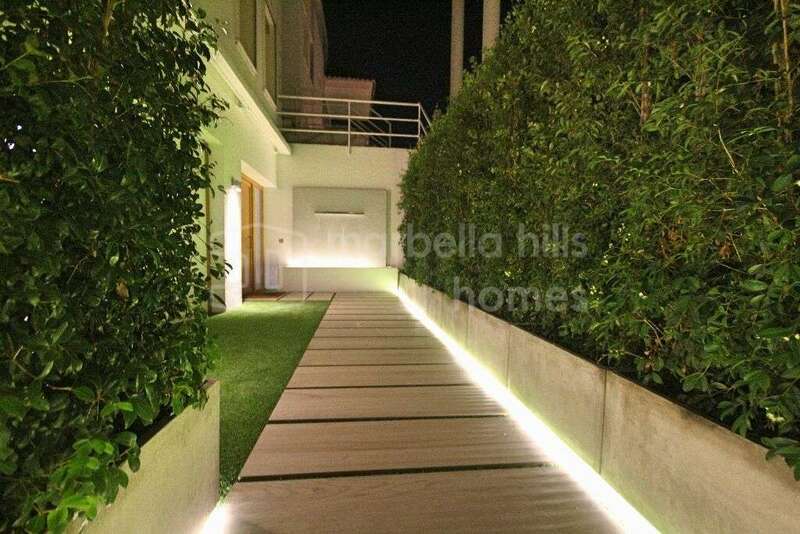 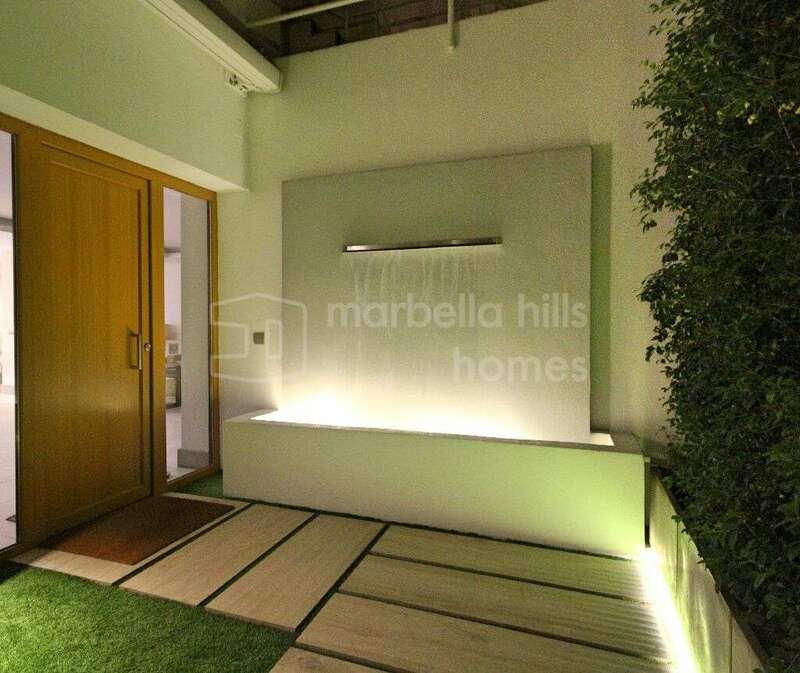 A few minutes from Puerto Banús and all amenities. 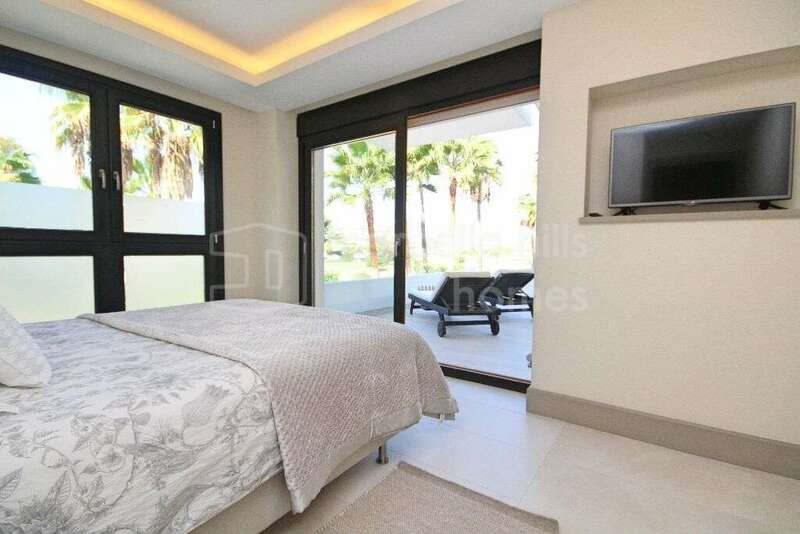 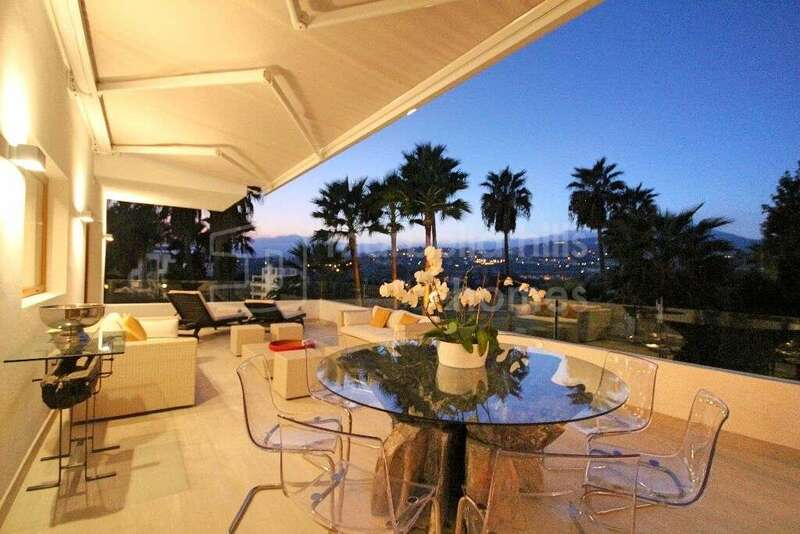 Facing south-west, the property consists of a lounge / dining room / kitchen in the American style giving access to a large covered terrace with superb views of the golf course, a master suite with dressing room and private bathroom. 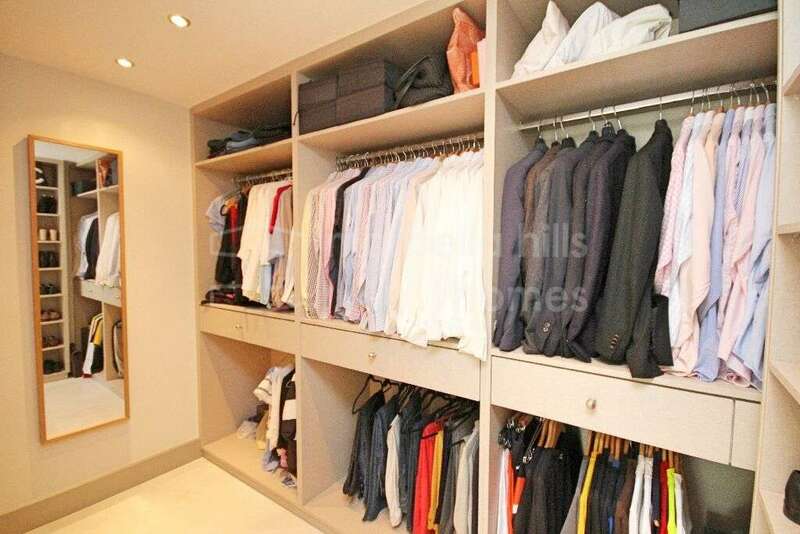 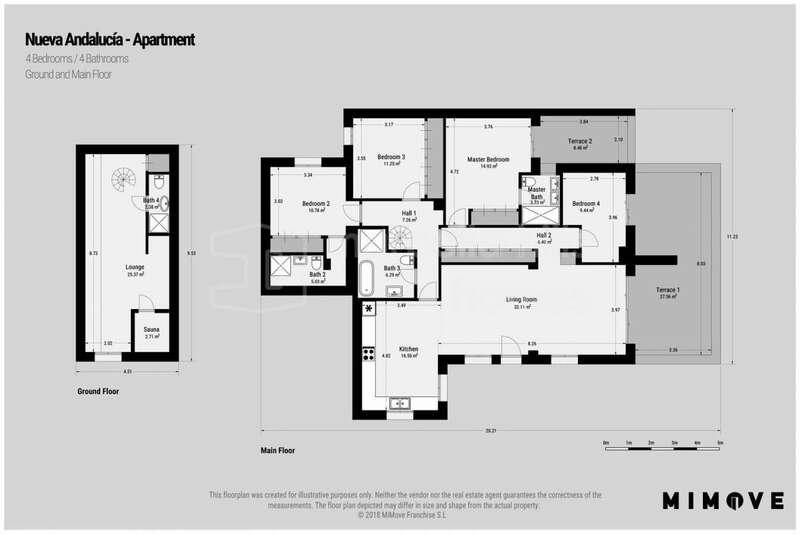 two guest rooms, (one equipped with a dressing room) with a shared bathroom. 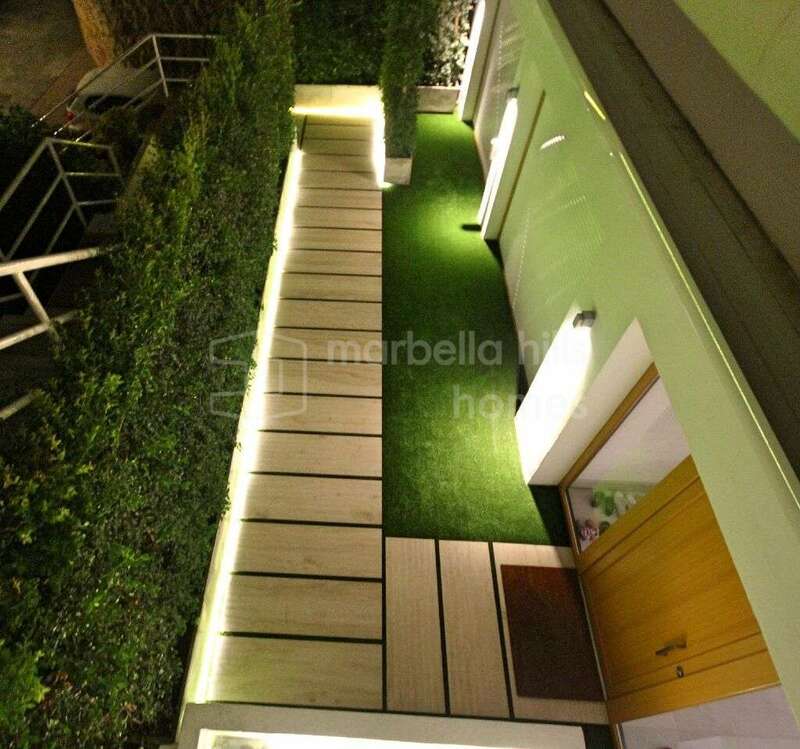 A parking space underground and a storeroom are included. 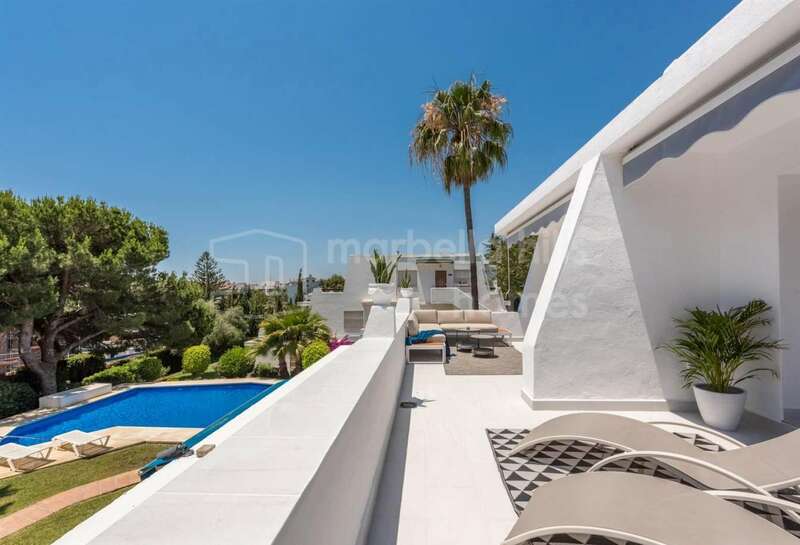 The prestigious 24-hour Alcores del Golf complex with concierge service by day has beautiful mature Mediterranean gardens and a beautiful swimming pool. 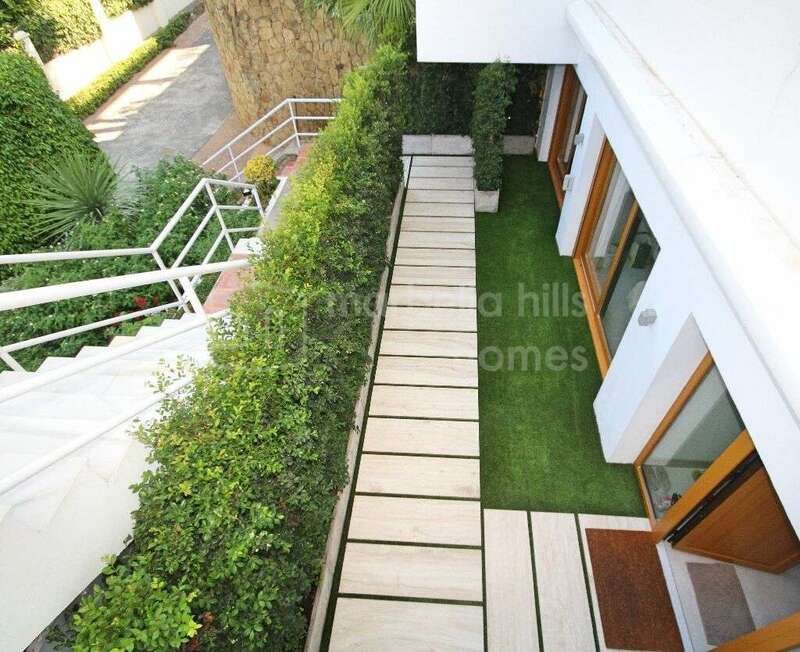 Front line golf, Fully fitted kitchen, Close to shops, Close to port, Close to schools, Pets allowed, Fireplace, Marble floors, Jacuzzi, Satellite TV, Guest room, Storage room, Double glazing, Dining room, Security service 24h, Private terrace, Kitchen equipped, Living room, Amenities near, Golf view, Internet - Wifi, Covered terrace, 24h Service, Electric blinds, Gated community, Air conditioning, Lift, Garden view, Underfloor heating (bathrooms), Close to Sea/Beach, Close to Golf, Uncovered terrace, Open plan kitchen, Optional furniture, Excellent condition, Recently Renovated/Refurbished.